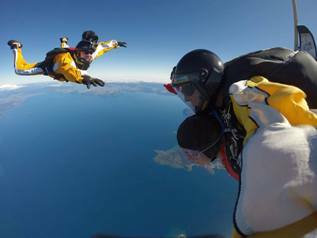 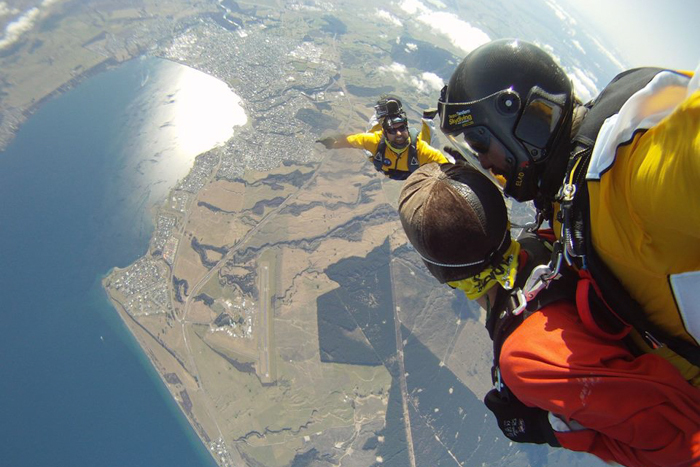 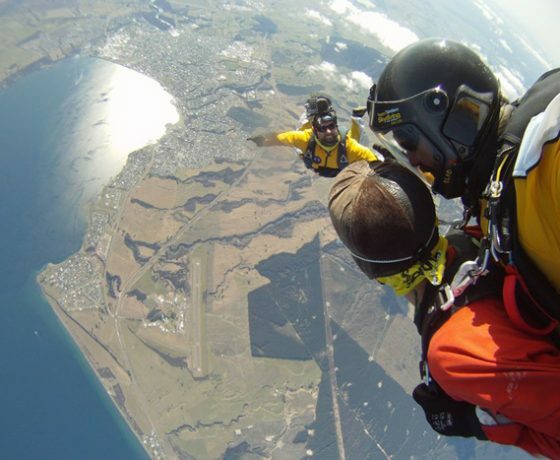 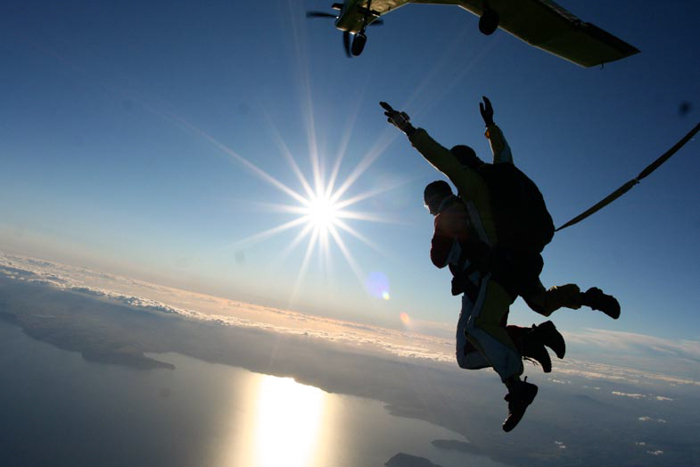 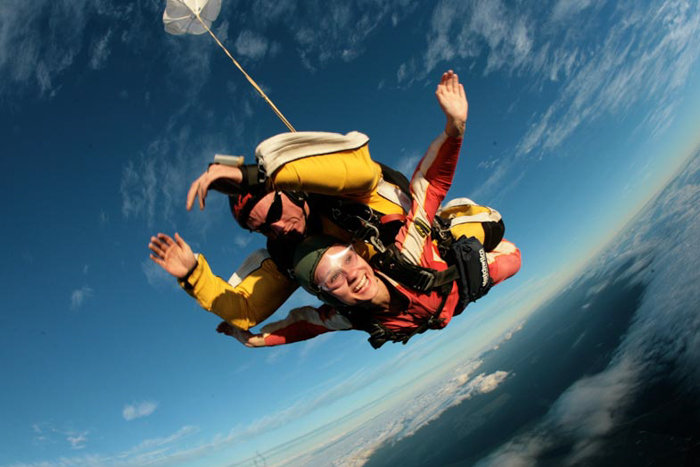 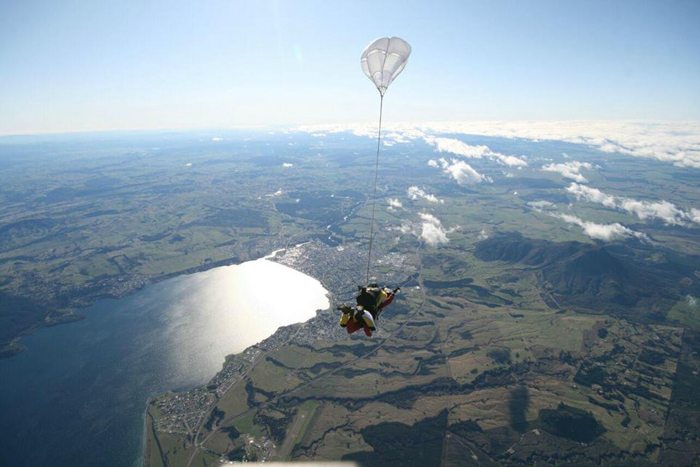 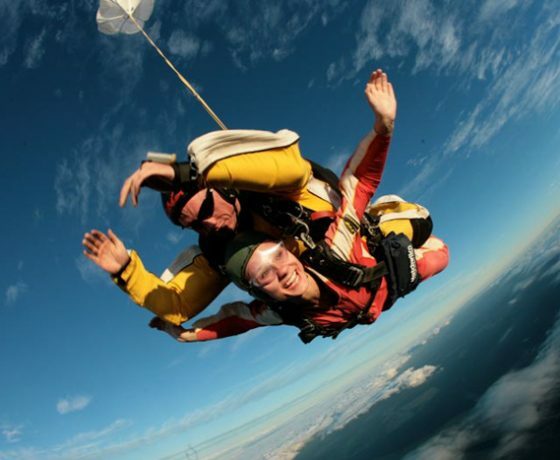 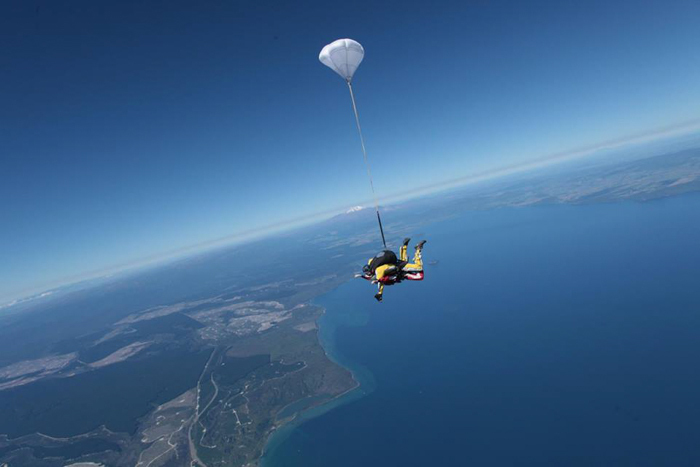 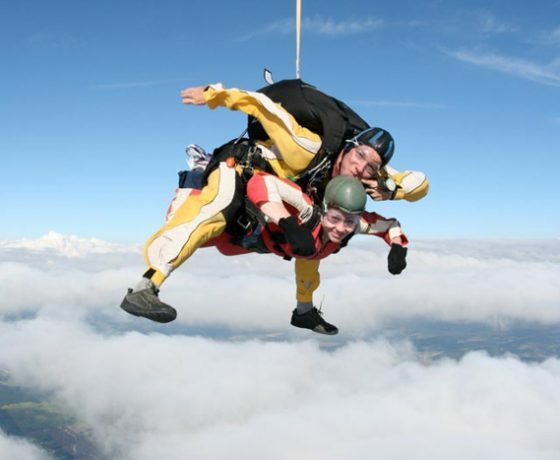 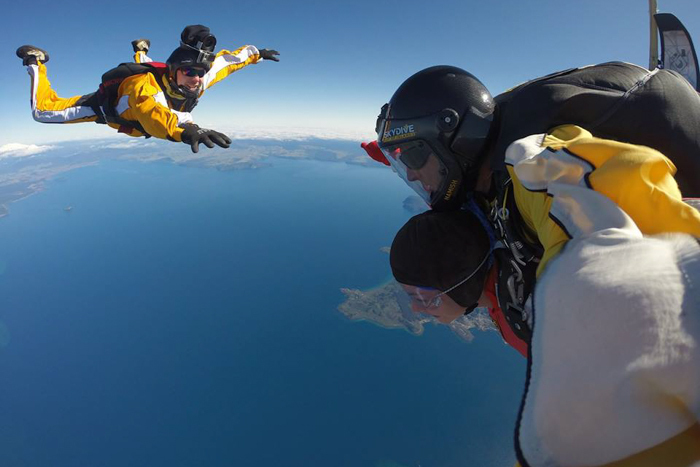 Experience an amazing adventure with Taupo Tandem Skydiving, New Zealand’s original skydiving company, located on the shores of the majestic Lake Taupo with a backdrop of the mountains of the Tongariro National Park. 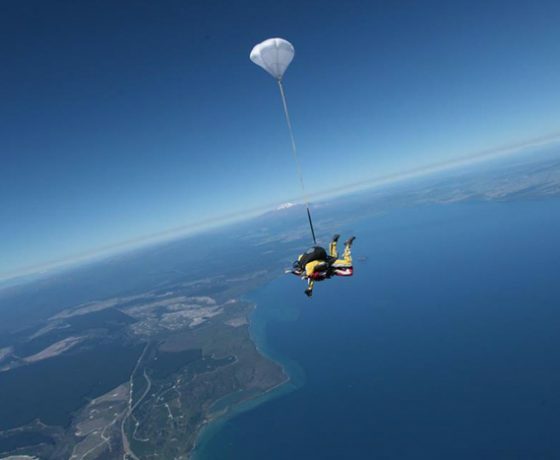 Y our Taupo Tandem Skydiving experience is packed full of adrenalin & excitement from the time you are picked up from your accommodation in our courtesy limousine to arriving at drop zone base to meet our professional crew who will brief you on everything you need to know. 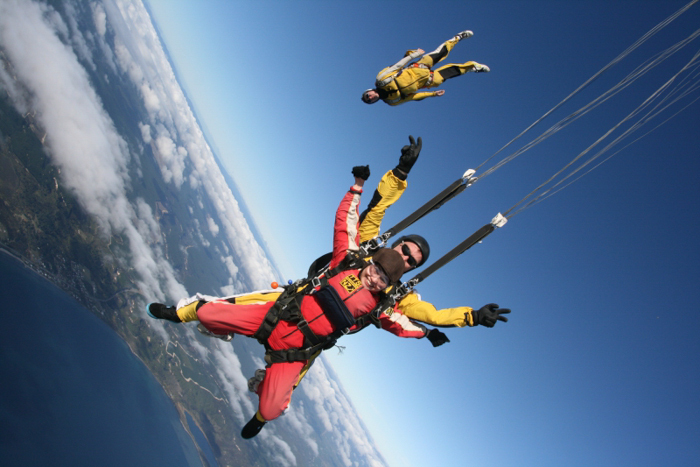 Once geared up with a jumpsuit and harness and you’ve been introduced to your tandem master …… you are ready to fly. 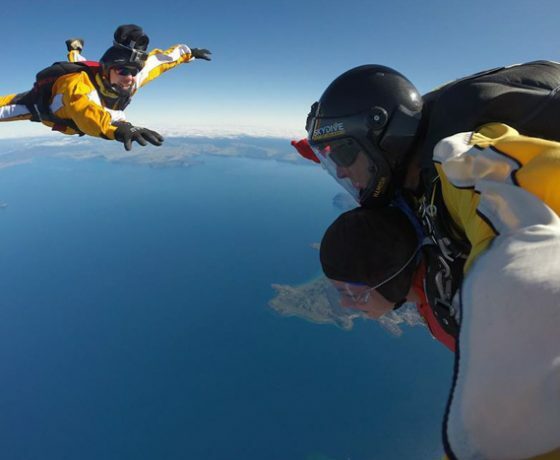 after all you are about to jump out of a perfectly good plane! 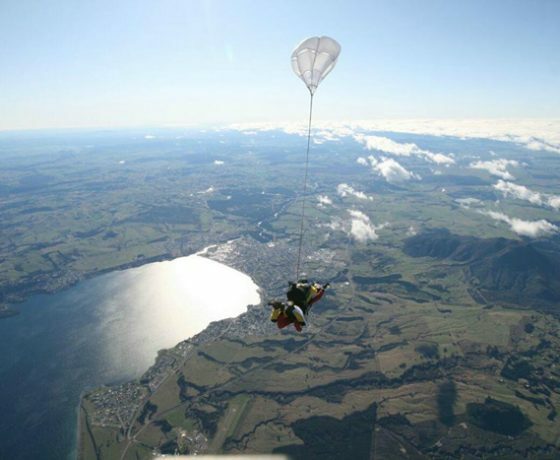 Its time to board the plane and once airborne you will be able to view the magnificent scenery of the Central Plateau and the Southern Hemisphere’s largest lake…this is just a taste of the view to come from the outside. 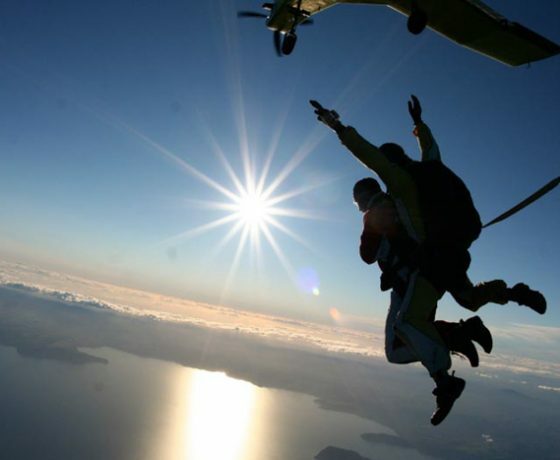 When the plane reaches your chosen height of 12,000 or 15,000 feet, this is where the adrenaline kicks in with your heart in your throat ….. You jump ….. 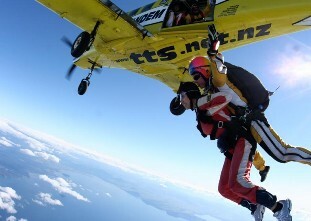 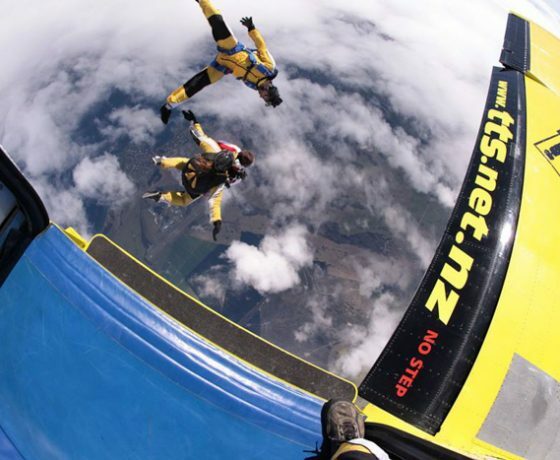 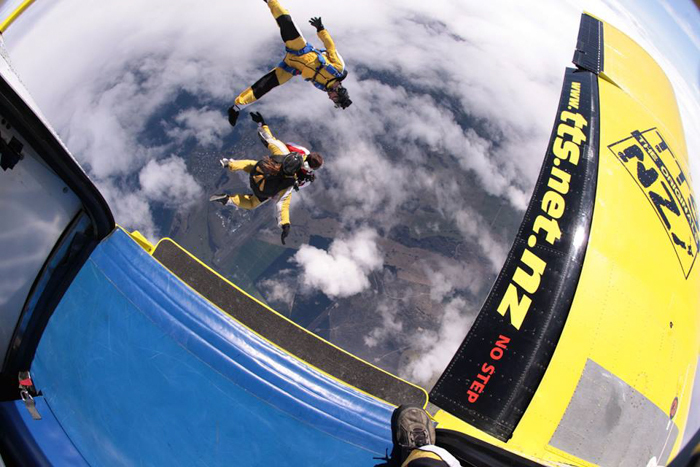 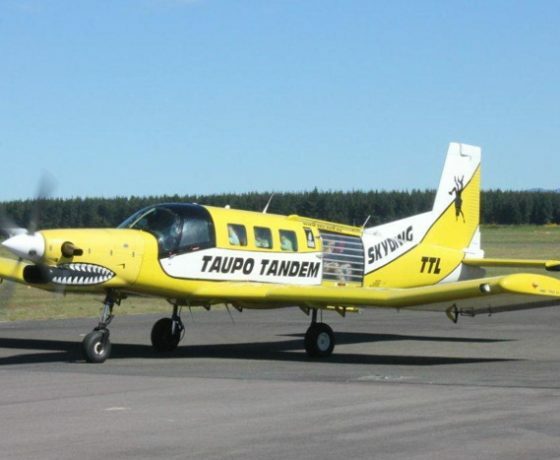 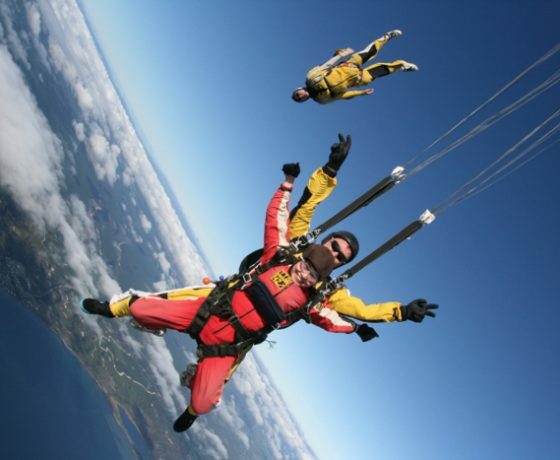 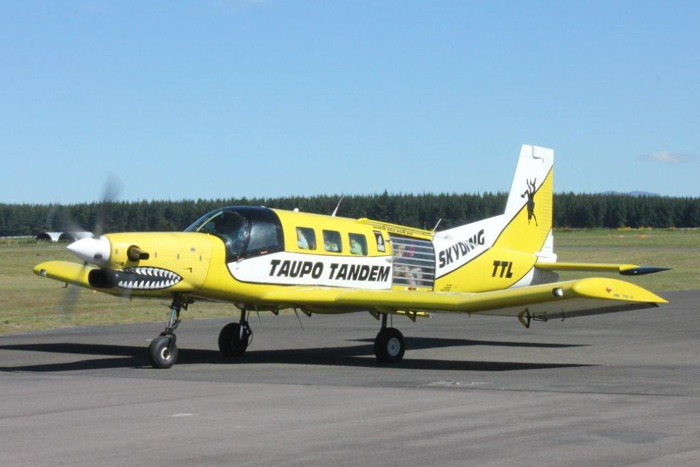 Exiting the plane you experience free falling at 200 kilometres per hour, the shoot opens and a you have a chance to catch your breath and take in the spectacular scenery of Lake Taupo and the snow capped volcanoes of the Tongariro National Park below you. 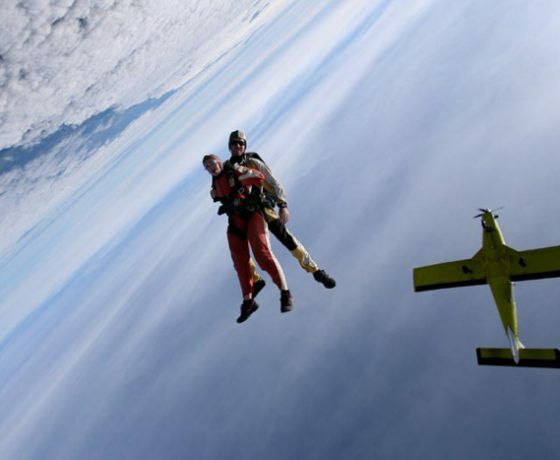 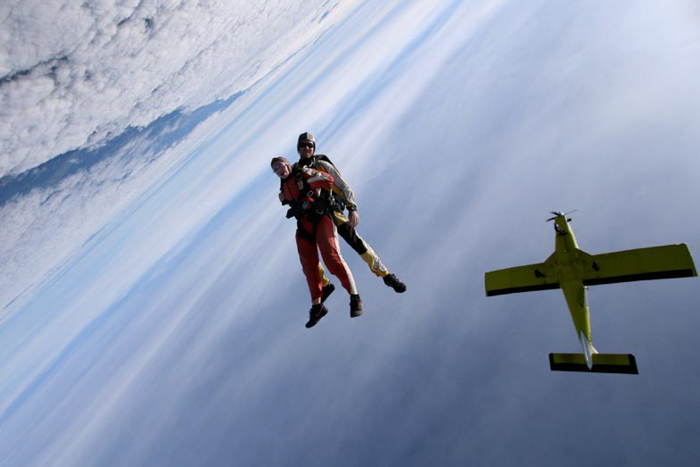 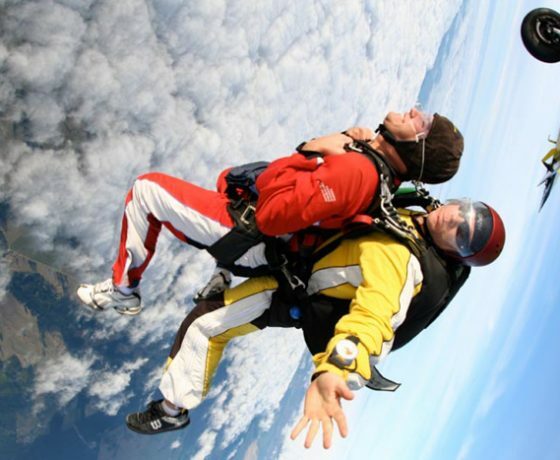 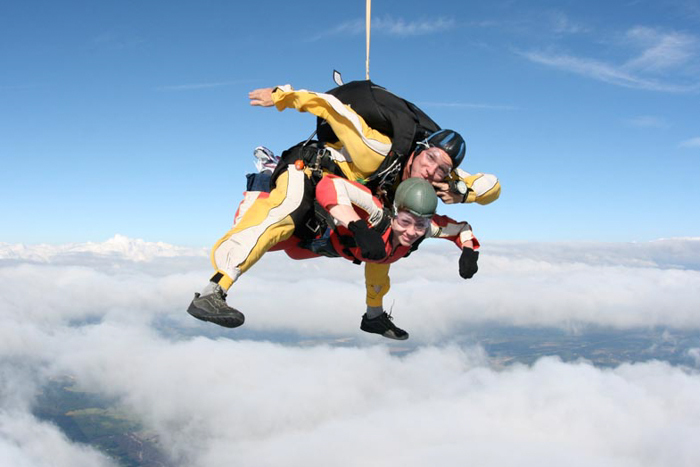 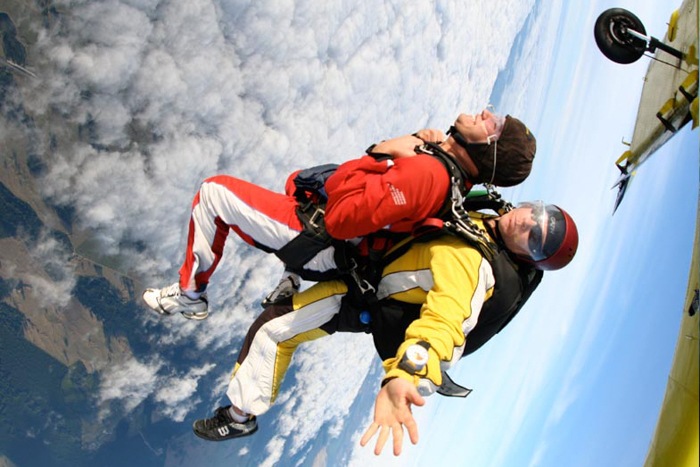 The great thing about tandem skydiving is there isn’t a thing to worry about, you are in the capable hands of your tandem master who will ensure your safety as you enjoy the ride back to earth.